Serving Minnesota, we fabricate stainless steel countertops, railings, hand rails, islands, cabinets, tables, benches…and anything else you can dream up! 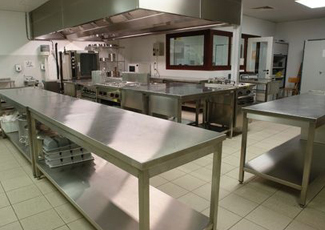 From small individual or custom stainless steel pieces to complete commercial kitchens and installations – we do it all! We feature many ready-to-build designs for home and commercial use. Save some time – make us your first call! We are happy to provide our services to both residential and commercial customers. No matter if you are looking to outfit your kitchen at home, or open a new bar/restaurant – we are here to help! While we do offer many standardized products, we can make anything. You can create something from the ground up, or modify one of our existing items to fit your needs. 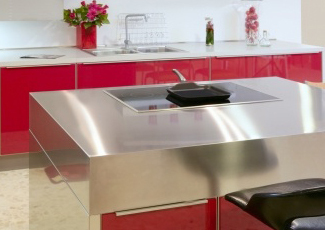 Whatever it is you desire, we can design and fabricate virtually any stainless steel fixture you can think of! 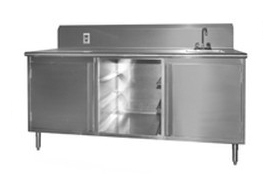 Whether you need a custom one-off stainless steel piece, or a production run consisting of hundreds or thousands of the same piece, we are equipped to meet your needs. Our quality workmanship will ensure consistency with tight tolerances, precise welds, and durable products that stand the test of time. 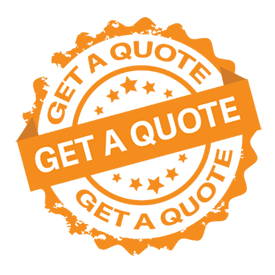 Start by getting a quote, calling us, or using the quick form below!